George Wachtel is a tournament-level, senior tennis player (rated 4.5) who lives and plays his tennis most of the year in Naples, Florida. 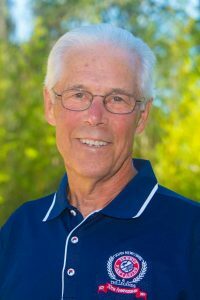 He is the author of the paperback and eBook, “Senior Tennis,” available on Amazon, Barnes and Noble and other book sellers. The summer months are spent on Lake Sunapee, New Hampshire – where a good friend and neighbor has a HarTru tennis court. I saw your ad in Senior Tennis News and a young man that played on my high school team, Ron St. John, teaches in Naples. Do you know him? Keep up the good work with senior tennis. I’m interested in buying your book. I was just turned on to your site through Brent’s new videos and am very excited!! Great work!! I fyou could put me on an email list that would be great.Am returning to tournaments after a few years,very cool to be a rookie at anything at 65. I have followed your blog for years, but somehow it stopped coming. Please put me back in the Q! I played against you and Tom many times, but sold my Naples condo and remain in Indianapolis. Just watched your interview with Pete and will give your book a try. I’m a 73 yr. old expat still working over here in Islamabad, Pakistan. There’s not a lot of social life here but my wife and I love our doubles games at the American Embassy every weekend. Please add me to your mail list. Thanks! Enjoy your blog. Great article about PF. Would you kindly put me on your list to receive this? I’m new to you and your writings, but am a competitive senior player in CA… As it happens my sister winters in FLA and has a late Spring-Summer-early Fall house on Lake Sunapee. Small world! I am a 65 year young and just happened upon your website. I have been playing tennis for 30 years and 3 years ago I had a fall on the court and injured my right knee. Thinking I could “play through it” ….. I was diagnosed with ostoarthritis bone on bone in one part of the right knee so went for the partial replacement. My surgeon did warn me that it could keep me on the court for 10-15 years or the “good” side could go in 2 years. Well it was good for about 2 years and then the pain kicked in again. Problem is during that time my left shoulder became bone on bone very severely. I am a lefty. I am having a full left shoulder replacement on November 14th. This time my surgeon says that based on the MRI I have very little rotator cuff injury and he assures me after full rehab and slow progress into tennis, my shoulder will definitely be at 90 to 99%! Problem is I will probably need a revision on my right knee. My point is I was pretty down about the whole situation but reading your blog has given me great hope that if I stick to the “plan” I will be back on the court. I can’t express in words how just reading your blog has helped. BTW, I live all year in Wellington FL and the tennis down here is just great. Thank you George and all your members. Please add me to your email list. When will the East Coast Florida Tournaments be released for 2019? Am a friend of Timm Rinehart for over four decades and played tennis with him all these years.He said to receive your blog and that is why I am writing.I winter at Siesta Key and live the rest of the year in Amherst,Massachusetts area.You and Timm had great run at Payne Park.Should have finished first.